Australians will be able to experience the SmartThings platform as part of the Smart Home Starter Kit, only available from RACV. The kit includes a SmartThings Wi-Fi Hub, and motion, temperature, orientation and door/window sensors. “Today’s announcement is an incredibly important stage in Samsung’s journey with partners like RACV to support the lifestyles of Australians with smart technologies that can be installed around the home,” said Eric Chou, Head of Category Management at Samsung Electronics Australia - IT and Mobile. 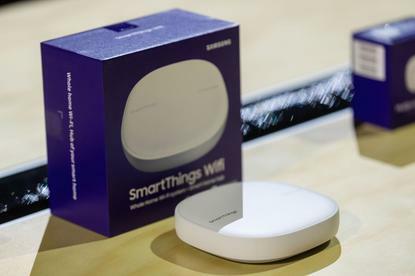 “SmartThings is a simple and easy to use system that will give Australians confidence and peace of mind by allowing them to manage a range of home sensors and connected product through the SmartThings app on their compatible smartphone. SmartThings allows consumers to connect the SmartThings Hub to multiple compatible smart third-party devices, like cameras, lights, locks and speakers as well as smoke detectors. Once connected, all these devices can be managed through the SmartThings app. “Considering smart technology in Australia is growing substantially each year, RACV is committed to meeting the changing needs of our members in their homes,” said Nicole Brasz, Home Executive General Manager at RACV. The RACV Smart Home Starter Kit is currently only available to Victorian residents via installation. Customers can get started with the RACV Smart Home Starter Kit for $378 which includes the kit and professional installation.